'All About Presentations' by Jazz Factory: How to present Excel tables in PowerPoint and make them look good? 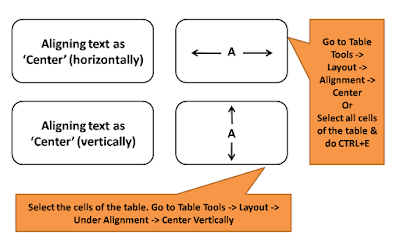 How to present Excel tables in PowerPoint and make them look good? 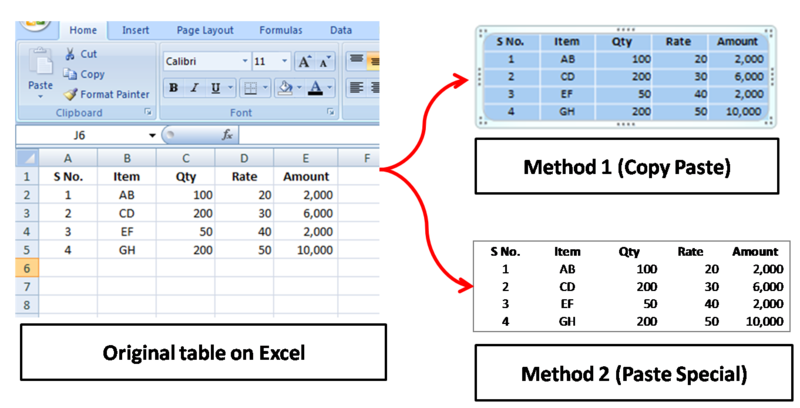 There are 2 Methods to copy a table made in MS Excel onto MS PowerPoint. What you get is a table. You can edit this table; change values etc. but it will not remember formulas of excel. 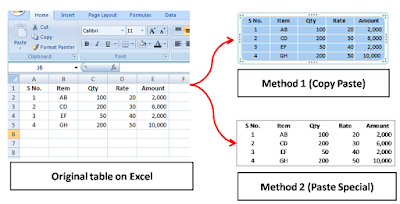 The excel table becomes an image on the slide. You can expand/contract the image but you cannot edit any information. This way you can make your tables to be non-editable by others. How to do Paste Special? 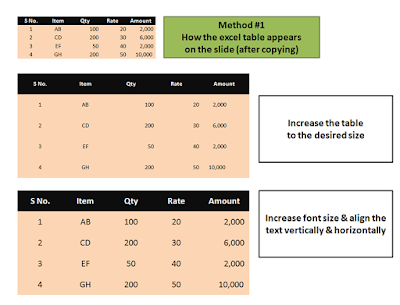 How do you make your excel tables look great on a slide? The best way to make your excel tables look great is to make them look great on excel first. After you have made the table, go ahead and colour the cells. You can make the header dark and the other cells white or some other light background. Now, copy it onto the slide. First decide on the size of the table. Make the table as big as you want. You go for an alignment which suits your table. 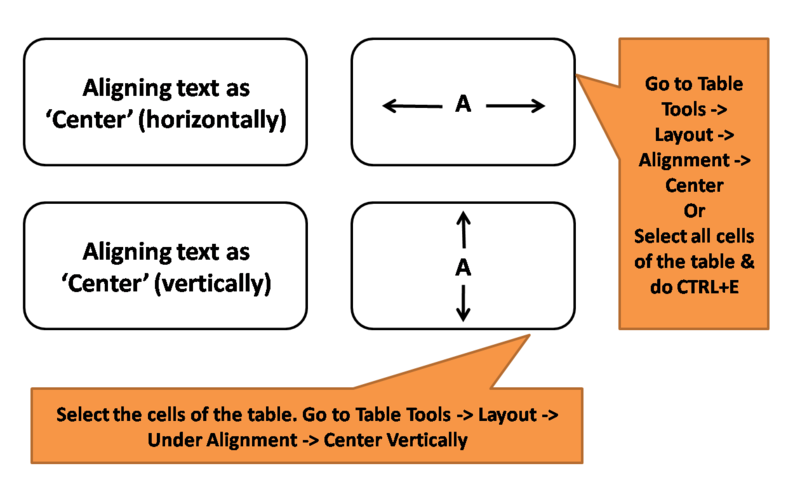 Not every table or every column needs to be aligned vertically & horizontally (like the Amounts column in the table below is right aligned because that is the customary way of doing it). Make the fonts more clear & legible by copying the image & pasting special as 'Picture (PNG)'. To do this first copy the image, then delete the original image, then Paste Special As PNG (shortcut in PowerPoint 2007 is Alt+E+S+V). What are the ways you use to show excel tables in your presentation? Leave your comments. Why have I suggested you copy the image as PNG? Read this article to find out. Want to tell you about the great way how to improve your presentation. The fastest and the easiest way it's Power Point Templates.